What is the Best Floss on the Market and Why? Have you ever gone to buy dental floss and felt numb by all the choices? I recall feeling confused by all the options and had lots of questions come up. Should I get the dental tape, the fluffy stuff, or even the flosser picks with the cute kid’s heroes on them? Which one is going to remove the most plaque from between my teeth? Which floss is going to hold up and not shred on that one spot in my mouth where floss always seems to snap? We chose to score each floss in 4 categories: value, benefit/risk of floss, environmental friendliness, and quality of floss. Here’s a quick description of each so you know where we are coming from in the analysis. Benefit/risk of floss: In this category, we share best uses for the floss as well as any design type drawbacks of the floss. Environmental friendliness: Here we discuss the pros and cons of packaging, floss material, etc regarding the overall environment impact. Quality of floss: This is where we share our personal experience testing the floss, whether we liked it, whether it functioned well between tight contacts, tended to shred, etc. We gave an amazon like 1-5 stars rating on each of the above categories, then averaged the scores for an overall OraWellness rating on each floss. Let’s start at the bottom. You know us, we like to stay very positive and ‘forward focused’. In this case, we’re going to have to set that desire aside and just share our take on these ‘ez flosser’ type designs. 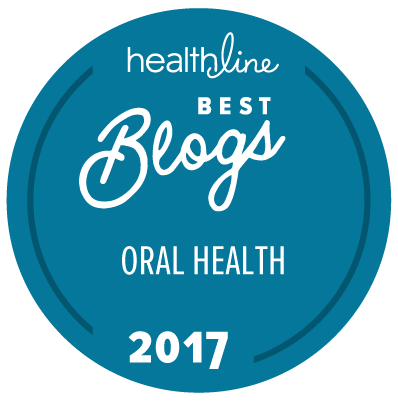 We recently committed a whole article detailing why these flosser picks are not a healthy option. Health Benefit & Risk/Best Use: This design of ‘flosser’ can damage gum tissue by ‘snapping’ between the teeth. (Like an archery bowstring snapping down into sensitive gum tissue.) An even larger problem is the very real risk of ‘seeding’ bad bugs from an infected pocket throughout the mouth because you’re using the same little piece of floss for each contact. Environmental friendliness: Flossers are a one time use piece of plastic. In fact, if you keep your eyes open for them, you’ll see them everywhere polluting the ground, from parking lots to playgrounds. Ugg! Quality of floss/ingredients: Given that you run the risk of damaging gum tissue and moving bad bugs around the mouth and that they teach poor flossing habits and market to children, we don’t have any positive comments here. Cost value: $.04 per flosser pick. One good thing about these flossers is they are cheap! Health Benefit & Risk/Best Use: Glide type flosses have become very popular in recent years. The benefit to glide or ‘tape’ flosses is they don’t snag on restorations and shred. However, this ‘benefit’ is also a bummer as these tape design flosses really don’t do anything when you floss with them. I’ve unsuccessfully tried to remove food particles after a meal using tape flosses. Bottom line, tape flosses simply don’t remove plaque as well and we really question their ability to disrupt bad bugs too. Quality of floss/ingredients: Glide flosses are made from Teflon. The full, more revealing name of Teflon is Polytetrafluoroethylene. We have bolded a certain portion of the component to bring your attention to it. Teflon is a fluoride compound. Sure, you aren’t eating it, but still… Needless to say, we aren’t fans of glide type flosses. Quality of floss/ingredients: Not like I need to throw another glide floss under the bus, but this was weird so I wanted to share it with you. Most glide/tape like flosses are really, really smooth. I imagine because those are made from Teflon. However, this satin tape was inconsistent and even had some bumpy feeling stuff on the floss. Call me silly, but when I’m about to use something to clean my mouth, I want it to feel clean to my hands. This floss has little goobers (for lack of a technical term) on the floss. Sorry SatinTape lovers, this one’s not for me. Health Benefit & Risk/Best Use: The red color of the floss removes a huge benefit to flossing, to be able to see if any gum pockets are bleeding. (To learn more about ‘conscious flossing, and what color on your floss can tell you check out this article.) Not sure how they get the floss to be red, but given the size of J&J Inc, I have a bad feeling that it’s red food coloring. Quality of floss/ingredients: Too waxy for us. The cinnamon flavor is nice, but again, because I wasn’t able to find any ingredient list for the floss, I question whether the cinnamon flavor is artificial. Health Benefit & Risk/Best Use: When I searched on Desert Essence page I found that under their link to ‘ingredients’, there was no information. It was literally a blank page. I wish I had more good info to share here, but without the company being transparent with their ingredients, it’s tough to give them high marks. Health Benefit & Risk/Best Use: So, when I went to cut a segment of this floss off to try it out, it snagged and frayed, making a royal mess. Not the best start to my analysis. Given how many flosses we’ve tried recently for this article, it’s not a favorite for sure. If you have more space between your teeth, this floss may work for you as it’s a thicker floss. Quality of floss/ingredients: This floss also has good ingredients and Tom’s of Maine is willing to share all the ingredients in their floss. I personally found the floss to be too thick and bulky for the spacing of teeth in my mouth. It’s also a bit inconsistent in that some areas feel different than others on the same segment. Health Benefit & Risk/Best Use: We love the idea of this silk floss! Finally, a biodegradable floss. Unfortunately, it didn’t hold up well when we tested it. Quality of floss/ingredients: Like we stated above, we love the idea of silk floss, but unfortunately it doesn’t hold up as well as nylon. If you have tight contacts between teeth or fillings that have sharp edges, this floss isn’t for you. It’s just more frustrating to use as it breaks and snags much more easily. There’s another consideration about what harsh chemicals may be used to make the silk floss ‘hygienic’ in a very regulated industry. Cost value: $.14 per use, highest priced floss we researched. Health Benefit & Risk/Best Use: Nice company. Floss is waxed with a natural wax. It’s a bit too waxed for our preference. One downside is the color. It’s a gentle red, so we lose the benefit of being able to floss consciously with it. Another downside is the color isn’t consistent throughout which makes it even tougher to apply conscious flossing. Quality of floss/ingredients: Floss is made from nylon, dipped in cranberry essence, then waxed with a vegan friendly wax. We found that the floss did shred a bit when used between tight teeth contacts. Health Benefit & Risk/Best Use: It’s nice because it ‘fluffs out’ when you release pressure on the floss. This is particularly beneficial if you have any bigger gaps between teeth as the floss is a matrix of filaments so grabs plaque and food better than many flosses. The down side is it tends to snag on any filling/crown sharp edge or calculus and can shred, which is really a bummer when you get a tiny piece of floss stuck between two tight teeth. Environmental Friendliness: Plastic packaging, plastic container. Quality of floss/ingredients: This floss was our favorite many years ago and if we are traveling and need to purchase some floss in a pinch, this one functions pretty well. Made of nylon. Cost value: $.03 per use. Health Benefit & Risk/Best Use: Dr Tung’s is one of our ‘go to’ flosses these days. In fact, it’s Susan’s preferred floss. This floss replaced the Oral B Ultra Floss several years ago when we found Dr Tungs. Quality of floss/ingredients: This floss is strong, it’s ‘fluffy’ and a bit stretchy. It removes plaque better than most flosses we’ve tried. Cost value: At $.10 per use, this floss is on the higher end of the cost for floss. The cost factor is really the only downside to this floss. Health Benefit & Risk/Best Use: Great floss. Very, very slightly waxed which makes the floss slide better. But it’s not so waxy that using the technique we teach to put our Healthy Mouth Blend on the floss won’t work. (If a floss is too waxed, the floss won’t absorb the Healthy Mouth Blend to use this powerful technique.) Here’s a link to watch a video where we demonstrate this powerful flossing technique. So there you have it, our personal feedback of 12 flosses we found while shopping for flosses here in Hawaii. As soon as we have a biodegradable floss, that functions well, packaged in a sustainable fashion, you’ll be the first to hear about it. Until then, we encourage you to try out either Dr Tung’s Smart Floss or EcoDent Gentle Floss. How about you? What is your favorite floss and why? Did we discuss your favorite here in our analysis? Please share your thoughts in the comments below, especially if you know of an awesome floss that we didn’t review! Ready to take control of your oral health? Download our FREE e-book “How to stop tooth decay and remineralize your teeth” today! I use Desert Essence Tea Tree TAPE which you didn’t review. I assume that the ingredient page for that one is blank like the floss page though. I don’t like wax, and the tape doesn’t seem to have any. It absorbs your Ora Wellness liquid well and holds it while I floss. I also have wide spaces between some teeth and tight ones between others. Thin flosses either cut my gums or seem like they aren’t hitting all the teeth surfaces. The tape is strong and forces well between tight spaced teeth without cutting my gums when it finally breaks through like floss. I use this also & it’s the best I have tried. I agree with bruce, it does the job nicely. Thank you for reaching out to us here. I think so long as you are aware of the limitations of picks like stimu-dents, they can be used safely. I just wouldn’t use them at multiple sites, especially if you question any active infection. I preferred Tom’s flat floss for a number of years due to the “scrubby” texture. It definitely – with the spaces between my teeth being wider than average – scrubs off plaque. But in her got the Eco-dent floss and like it even more with the thinness allowing me to clean closer to the gum. Glad to hear it! Thanks for sharing! Remember if you make your gums bleed when you floss – you may have periodontal bacteria – and you don’t want to open a wound to let them into your blood stream. Get your gums healthy BEFORE you begin to floss. It’s an honor to have you stop by to offer your experience here! Agreed on bleeding when flossing and the risk of bacteremia. Wouldn’t you agree that if bleeding exists, there’s trouble brewing and the person MUST take proactive steps to stop the damage? Since flossing does effectively ‘disrupt and disorganize’ the bad bugs implicated with gum disease, flossing still provides an excellent strategy to head in the right direction with one’s oral health. Thanks again for stopping by to share your thoughts! I appreciate the reviews, but the packaging of the Eco-Dent Floss was not very user friendly. I ended up wasting floss because it was difficult to dispense. Agreed. I would prefer an easier to open/set up floss too. But given that it’s the best combination of value and quality, I’m able to overlook ‘our’ preference for better initial packaging. Thanks for stopping by to share your thoughts with us! Yeah, the Dr Tungs floss is pretty thick. Perhaps give the EcoDent floss a try as it’s a much thinner floss. I have quite a few tight contacts between teeth and the EcoDent works great for me without shredding. Thanks for asking! I’ll check it out and report here what my thoughts are. I have been using the tape glide type floss for ease of movement. Does the Eco-Dent work well for people with narrow spaces between the teeth? Yes, the EcoDent floss works well in tight spaces. Give it a try and let us know if it works for you! Thanks for stopping by to ask! I have your Healthy Mouth Blend. I am aware of what you write regarding picks flossers. I am enviromentally helpful in many of my product usages and my diet, but I’m needing to use the picks. Why? My hands are enough disabled that I can and will floss each day if I use the picks. I have mastered the problem of not ruining my gums, I get good control there. I also use a brand that is thin and unbreakable, such that it doesn’t rip, and it is not a glide/highly waxed one so it does feel like it cleans. My question is order…and how. I brush with coconut oil first, then I brush with your Mouth Blend, both as per your video. Then I floss, then rinse well, with the Mouth Blend in the RO water as well, so at to still try to catch all the bugs, rinsing out the flossed ones. What do you say? and, indeed it is time for me to get more HMB. And. I have one other question for you…the HMB seems to stain my teeth, believe it or not. That’s why I start with coconut oil to help with that. What do you recommend for healthy whitening…for I know the modern day toothpastes are horrible for our teeth, and I doooo want a bright white smile. We completely agree and hear you on this one. In fact, the one challenge of flossing at all is whether a person has sufficient dexterity to perform the function well. Given this, I’m still not a fan of flosser picks. You may want to look into an oral irrigator (like waterpik) to use in place of floss as an oral irrigator doesn’t require the same manual dexterity that flossing does. Re: HMB and staining. This is a fairly common question we get. In fact, the HMB isn’t staining the teeth. What’s happening is stains from foods/drinks accumulate on the teeth and unless we remove the stains, they ‘grow’. Our Healthy Mouth Blend is awesome but it doesn’t have any ‘grit’ or abrasive to help remove stains from foods/drinks. So, at this point, I suggest you simply dip a moistened brush into baking soda and gently brush the front teeth to help reduce staining. I like Johnson & Johnson REACH soft woven mint floss with fluoride. It was recommended to me by my dental hygienist. The floss consists of blue and white strands woven together. I had previously used Oral B Glide floss because other flosses I had tried would shred and break on certain of my teeth. However, I have had no shredding problem with the woven Reach floss when using it on my tight spaces, and it also seems to have enough bulk to work on the gaps I have around the bases of my teeth from gum recession. This floss has no flavor. Because it is woven, I wonder how it compares to the REACH Cleanburst cinnamon flavor floss you didn’t like. Thanks for stopping by to share your experience with us. I’ll have to check out the J&J reach woven floss. I used to love how this floss worked on my teeth also but then decided to never use fluoride again. I now use Spry Sponge Floss with xylitol. Thanks for the lead! We’ll have to check out the Spry floss. I agree that EcoDent Gentlefloss is best. Does not cause bleeding and environmentally friendly! Thanks for sharing your experience with us here! I have been using Dr. Tungs for a few years now and I love it. I have very tight teeth and dental tapes used to get caught. Dr. Tungs never gets caught and it works really well at removing food from between my teeth. Thanks for sharing! Yeah, we love Dr Tungs floss too! Glad you have found a floss that works for you! Eco-Dent floss has another plus, 100 yards of floss. Dr. Tungs is only 30 yards of floss. I hope they consider a more Eco-friendly packaging. I’m always checking the amount of floss in a package. It’s good that my favorite floss also has the most yards of floss for one package, Eco-Dent. I did a recent check of floss, and most seemed to have 30-75 yards of floss. That’s using more plastic packaging and less floss. Thank you for the great comparison of floss. Agreed! We took the amount of floss on each spool into consideration when we calculated the cost per use. Bottom line, EcoDent floss is the best option currently given value and quality. Quality of floss (strength, no fraying, etc.) WAS glide until I read above that it has fluoride. Environmentally is ECO-Dent but I have a terrible problem with strength and fraying when using that brand. I agree that gentle floss is best!! Ii have also tried to avoid flosses with flouride. Don’t you think te flouride would leave resideue on the teeth and end up in te system? We’ve been using Dr. Tungs for several years but haven’t been as happy with it recently. Your wonderful article came at just the right time. Just tried the Eco-Dent and we both prefer it. Many thanks! Awesome! Thanks for letting us know that our article helped you find an even better solution! Based on your review, I tried Dr Tungs Smart Floss. I didn’t like it because it shreds too easily. I’m sticking to Oral-B Glide which gets the food that’s stuck in my teeth out and doesn’t make my gums bleed. Ultimately, each of us has to find what works for us. Thanks for giving Dr Tungs a try! Incidentally, if you floss gently and find bleeding with another floss, this does strongly suggest an active infection. It’s great that you appreciate the Glide floss, but if it doesn’t disrupt and disorganize the bad bugs as sufficiently, then it’s really not doing one of the main jobs we consider flossing performs so well. Food for thought. I hope it helps you along your path. Thanks for reaching out to us here. We are familiar with POH floss and really don’t prefer it for a couple reasons. While I don’t recall off the top of my head which ones of their flosses we’ve used, we found them to be too thin and more importantly, their ‘famous’ black floss doesn’t allow us to apply our ‘conscious flossing’ technique and look for any color on the floss to identify any active shallow pocket infection. I always floss. It’s the best thing for our teeth for sure. Great post, very informative! I use Oral-B Glide because it easily slips between some of my molars with a very tight fit. However, as some have commented, it can injure the sensitive gum tissue below once it finally gets through. I will give the EcoDent Gentle Floss a try next time I need to buy floss. Thank you for doing the research for us and providing the results. I’m surprised you didn’t evaluate any woven floss. I’d like to know your opinion on Johnson and Johnson Reach Listerine woven floss. It’s the only floss I have used that both gets between all my teeth as well as removes plaque. I don’t like that it is flavored with who-knows-what, but it does a good job. I’m wondering if there are other brands that make woven floss. My dentist carries something called Coco Floss. It’s pretty expensive ($8 for just 32 yards) but it’s good. I’ll look for the Eco-Dent Gentle Floss – more reasonably priced. But I do like the Coco Floss. It’s much more comfortable than other flosses. Worth checking out. Thanks for the reviews! Not discussed…I have MORE problem with the floss slipping on my hand when using. Am I doing something wrong? Thanks for adding to the conversation here. Stay tuned for a video demonstrating how we have learned to floss best. I’ll add my two cents worth on my favorite flosses. I used to be a dental hygienist, and used POH on my patients as it goes easily between all kinds of tight contacts. Used it on myself because being so thin, it felt like a sharper “edge” for efficiently removing/disturbing plaque. But because of Will and Susan, I took their recommendation for Eco-Dent. And now I use that at night and the above floss in the morning – the best of both worlds! Thanks for your experienced input Gail! We love it when people from the industry offer your input!! After our thorough analysis, this floss was our ‘best in show’. We’re proud to be able to offer our favorite floss to you at such a low price! I have three bridges in my mouth due to poor oral health as a child. Now at 64 my dentist noticed that the teeth holding the bridges were starting to move. I was sent to a periodontist to have my teeth planed, at the cost of $9000.00. I found OraWellness then and have been using their products for a year now. Since using the HealThy Mouth Blend my teeth need minimal cleaning at the dentist. You have saved me from losing my teeth. Thank you! Thank you so much for your product, the healthy mouth blend. I went to the dentist after 3 weeks of use and they said my mouth has never looked better. The hygienist was “annoyed” because I didn’t leave anything for her to scrape off. Fantastic!